If someone leaves the company or you simply don’t wish to give a user access to your company’s Paymo account anymore, but still wish to keep their data, you should archive that user. In order to do that, go to Users → select a user → Archive. 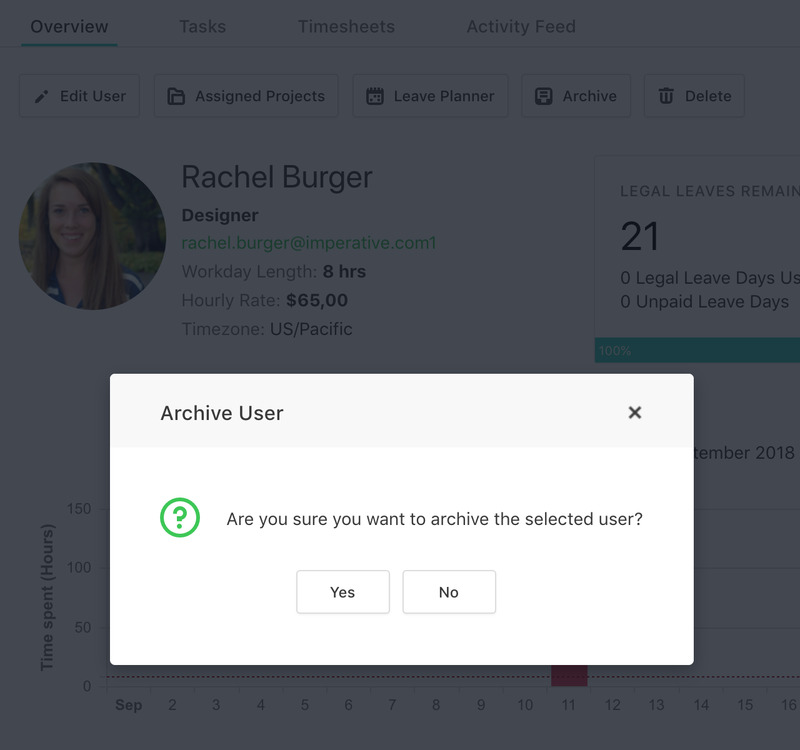 The user becomes “archived” or “inactive”. This action will also free up a user spot in your subscription, which means that you can activate an archived user or add a new one. In Paymo, you only pay for the number of active users. That's why if you archive a user, you should go and change your subscription as well by clicking on Your name (bottom left corner) → Subscription and Billing → Change Subscription.